Police have arrested total of nine people in Crawley and Gloucestershire as part of a major drugs operation. Three men - aged 19, 20 and 21 - were were arrested on suspicion of class A drug supply in Cheltenham yesterday morning (Friday). 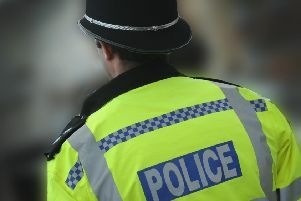 Gloucestershire Constabulary say a number of other people were arrested in Gloucester, Cheltenham and Crawley earlier in the week. They say six people have been charged following the operation. Police say the arrests were made as part of a large scale police operation into drug dealing. Superintendent Richard Coope, of Gloucestershire Constabulary, said : “It will come as no surprise that many of the drugs sold in Gloucestershire are brought in by dealers from places like London. Today’s activity has targeted known local dealers and their counterparts or suppliers from out of county. It’s the culmination of months of work by officers and we hope it will reassure local residents that police are taking the issue seriously. Police are urging anyone with information about drugs to call 101 or Crimestoppers anonymously on 0800 555 111.